Lana Garland has worked as a Creative Director, Director, and Writer/Producer in television and film in the US and Europe. Her work has included content for HBO, BET, and ESPN in America, and TV2 in Denmark. 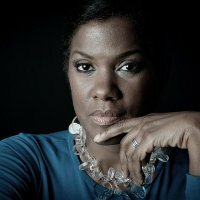 In documentary film, she has worked on films such as Bowling For Columbine, Stolen Moments: Red Hot + Cool, and Unchained Memories: Readings from the Slave Narratives. Her short films include Rapture and AfterLife, starring Tamara Tunie. Lana is an NATPE Fellow, a NAMIC ELDP Fellow, a Gordon Parks IFP screenwriting finalist, a Worldfest Houston finalist, and a Telly Award winner. She is the recipient of the Ella Fountain Pratt Emerging Artists Award and a Filmmaking Grant from the Southern Documentary Fund for her project on African American washerwomen. Her company, Insibah Media, is based in Durham, North Carolina and creates documentaries, webseries, and marketing videos for the Internet and broadcast/cable TV. Support meaningful change through the documentary arts.